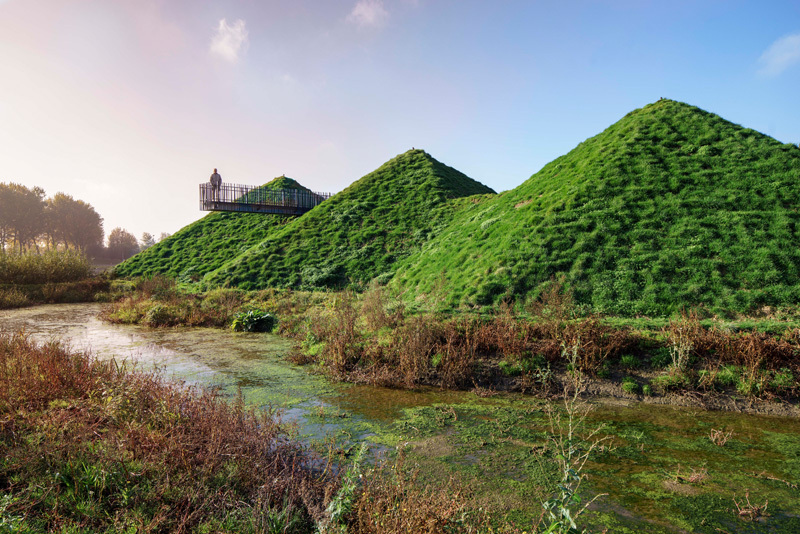 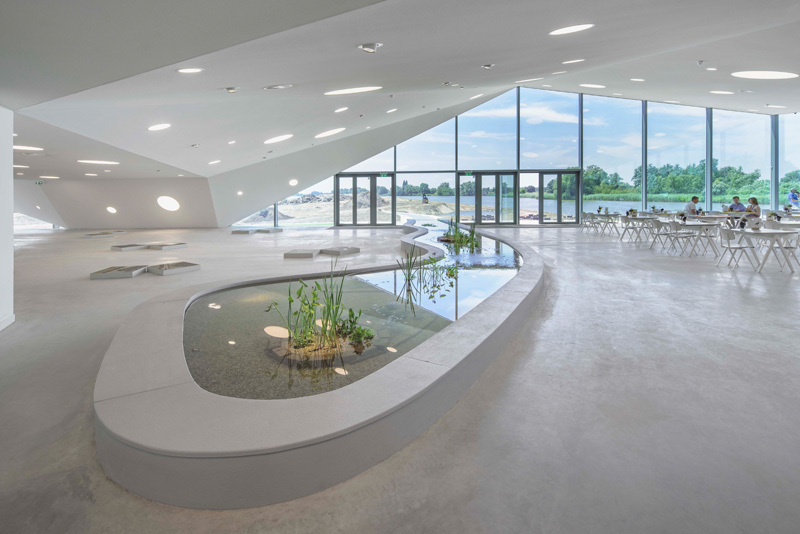 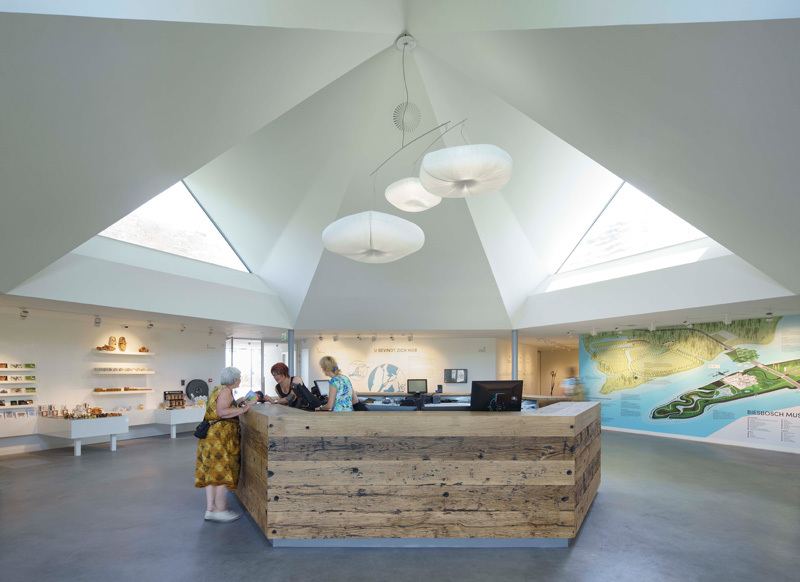 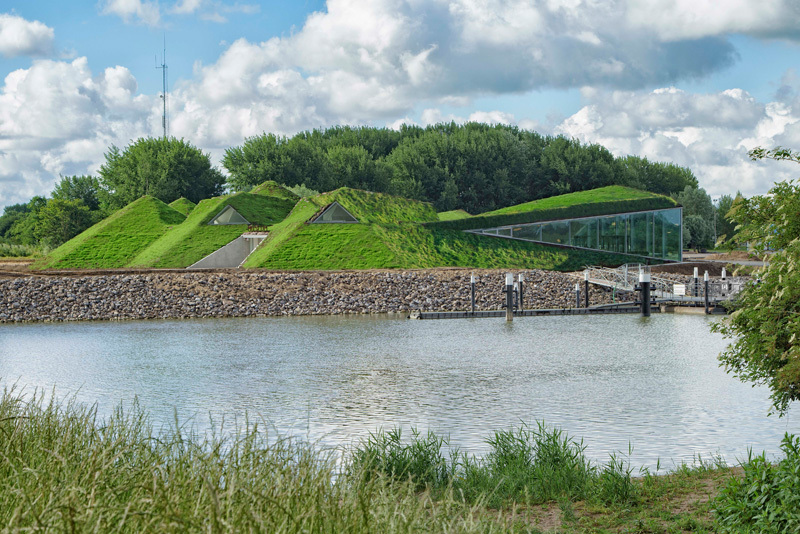 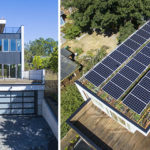 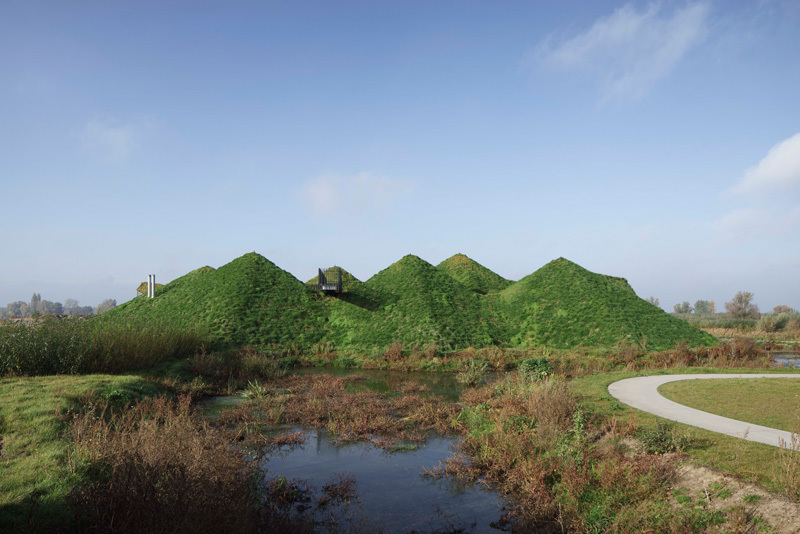 After an eight-month redesign by Studio Marco Vermeulen, the Biesbosch Museum in Werkendam, The Netherlands, opened to the public this summer. 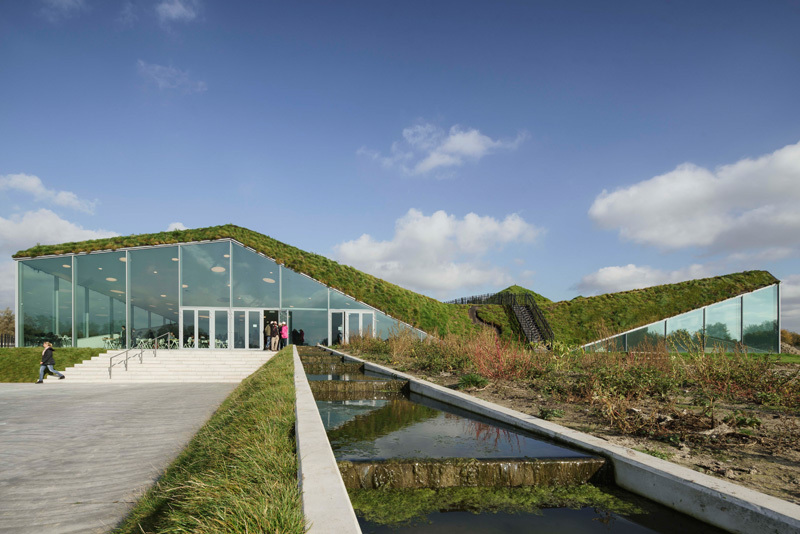 To avoid any unnecessary waste of material or energy, the hexagonal structure of the original Biesbosch Museum pavilions was retained. 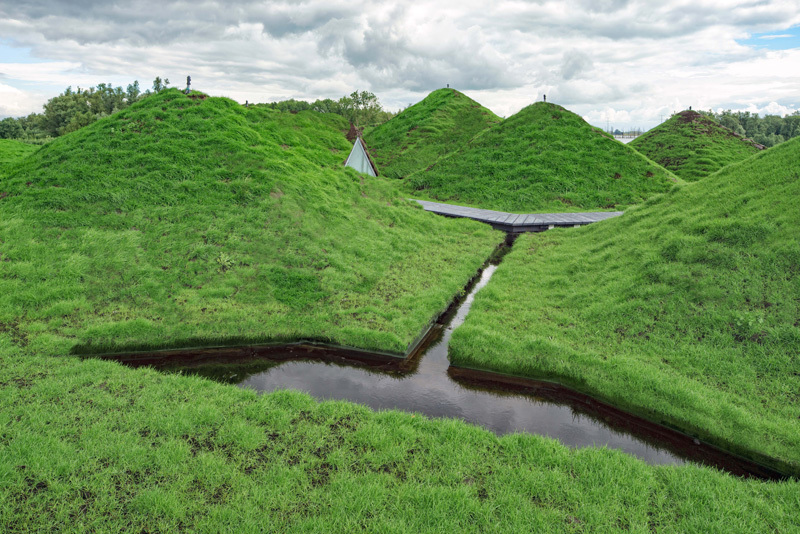 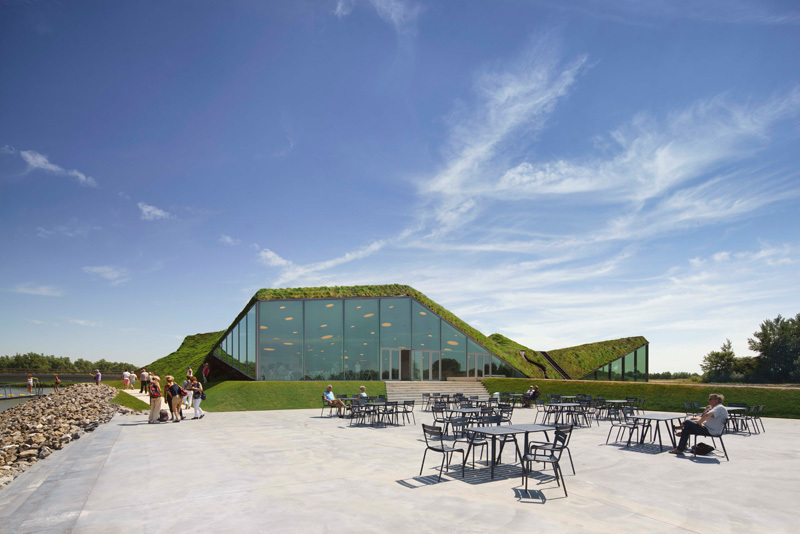 The designers included a path on top of the museum, to allow you to walk through the green roof. 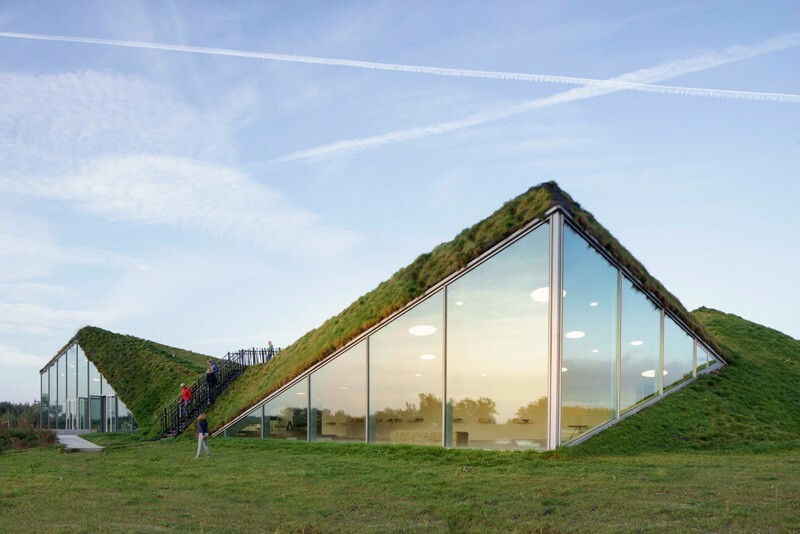 Here you can see how the path winds its way through the roof. 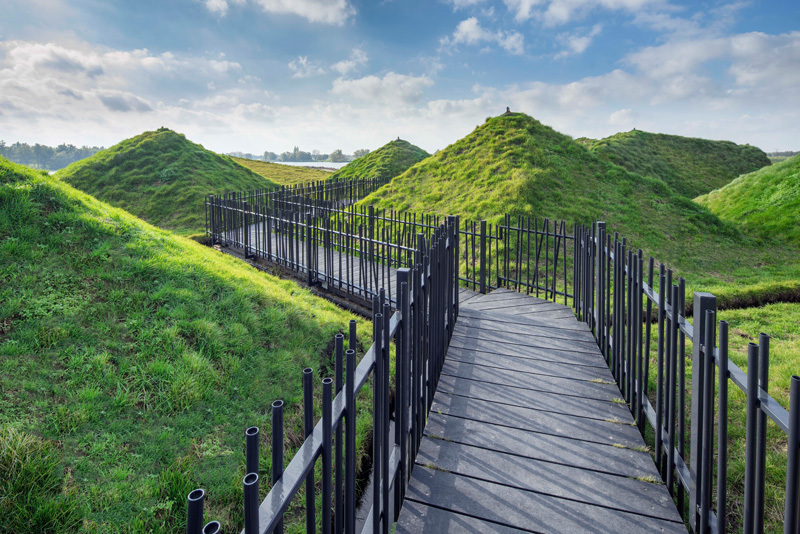 The path leads you to a lookout that has views of the surrounding parkland. 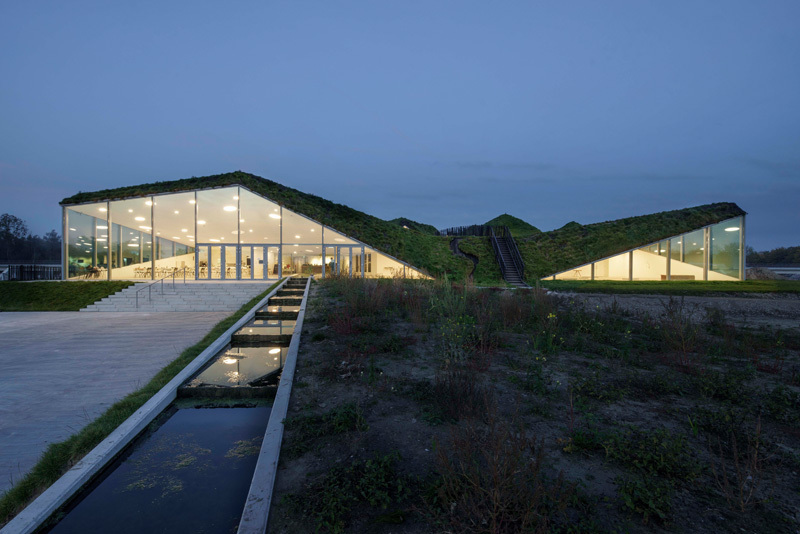 A large glass wall breaks up the greenery and welcomes you to the museum. 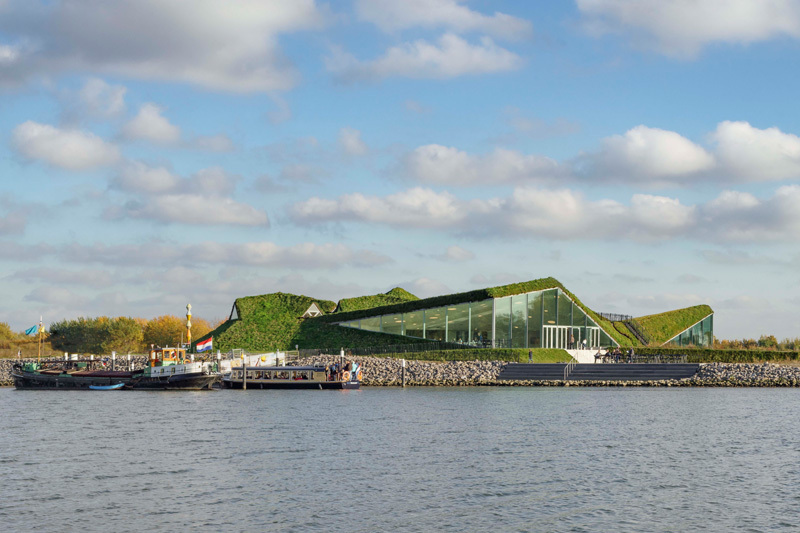 At night, you can clearly see the lit up interior of the museum. 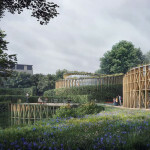 An outdoor seating area has been added to for visitors to take a break. 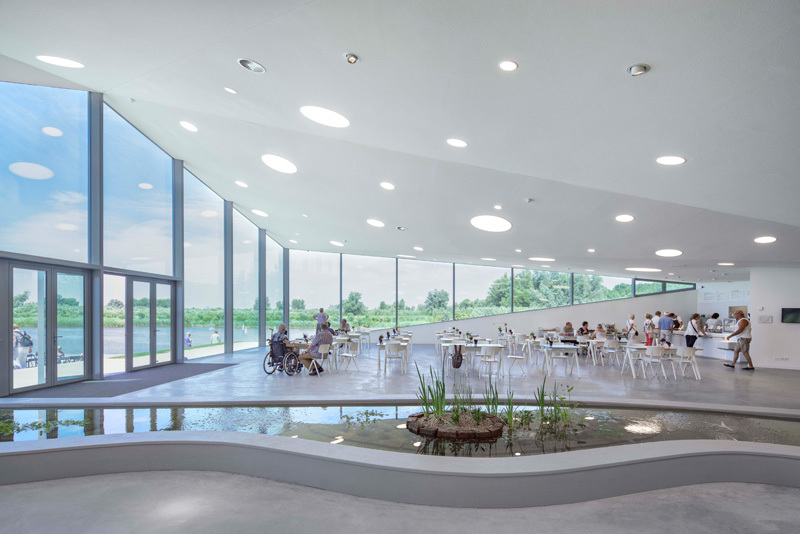 The museum has an organic restaurant, with views of the nearby water and landscape. 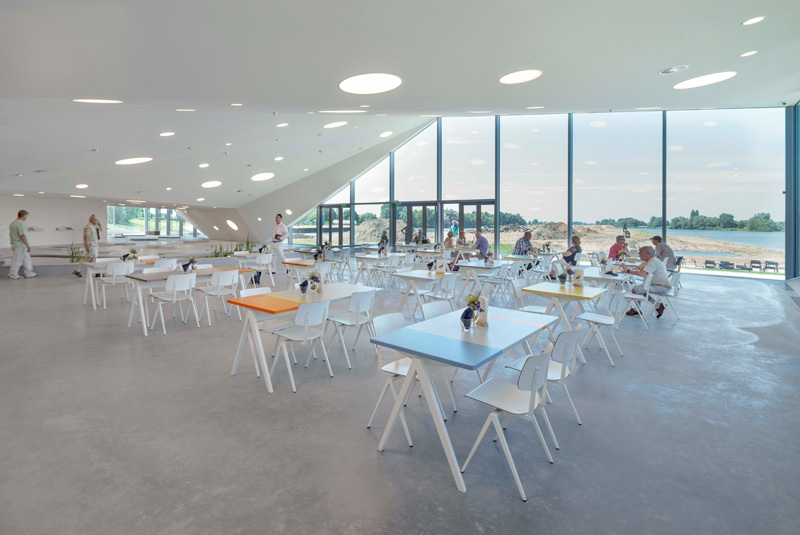 Here’s another view of the restaurant’s dining area. 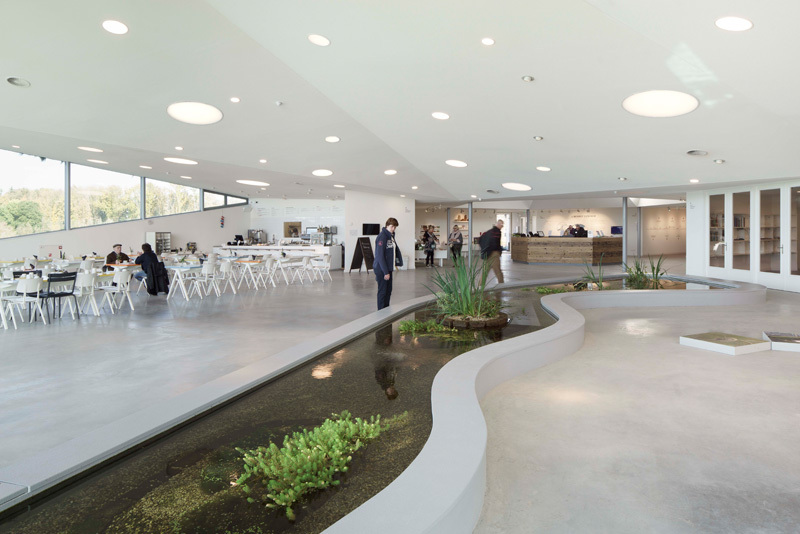 A water feature leads you through to the museum space. 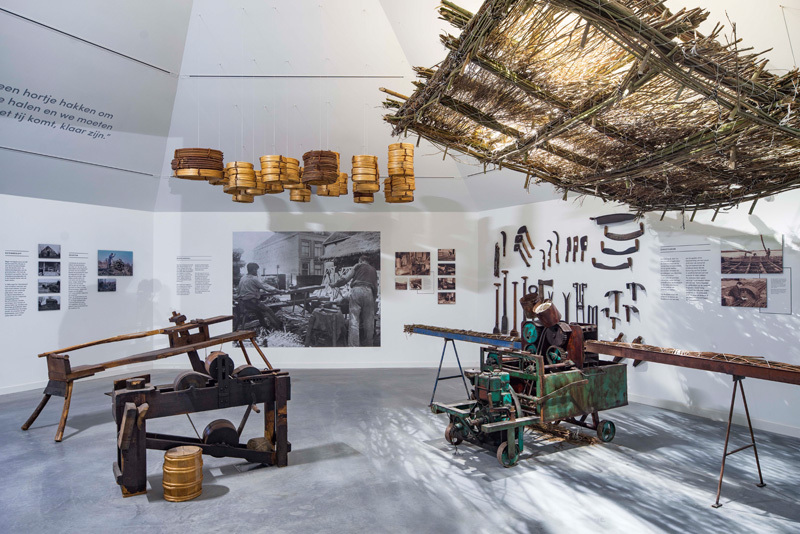 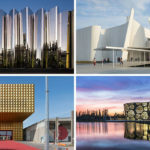 The permanent exhibition has been designed by Studio Joyce Langezaal, and explains the historical development of the region. 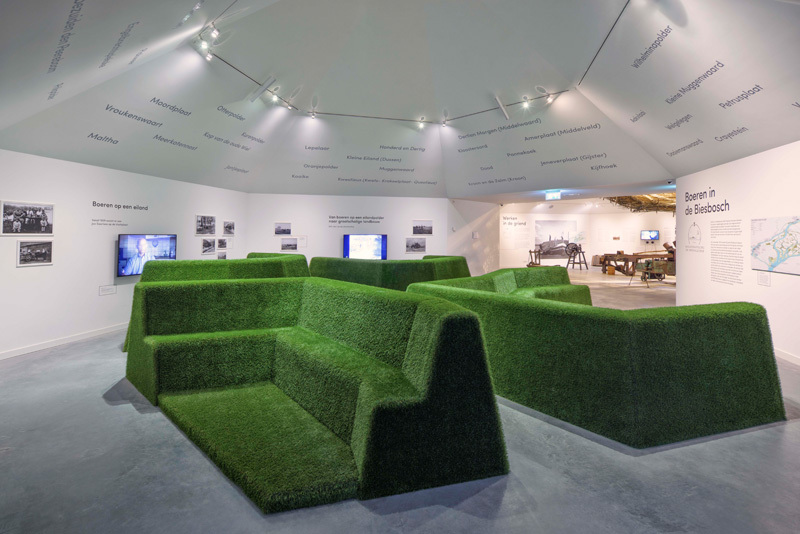 This room has ‘grass’ covered seating, where visitors can sit and watch videos on the wall.